Help raise funds for TMS in a snap! It’s fun, fast, and super easy! 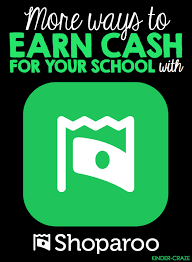 Shoparoo is a free iPhone and android app that turns pictures of your shopping receipts into donations to the school or charity of your choice. Just take a moment to snap a quick picture of your receipt and voila you are done. You’ve made an instant cash donation for TMS. Just download the free app on your smartphone or smart device! It’s that easy!